Last Update July 25th, 2016 — Chiropractors are entrepreneurs — business men and women who operate and manage chiropractic clinics by taking on greater than normal financial risk. Because of this, they need to remain cognizant and be able to adapt quickly to changes in the marketplace in order to stay competitive and financially stable. 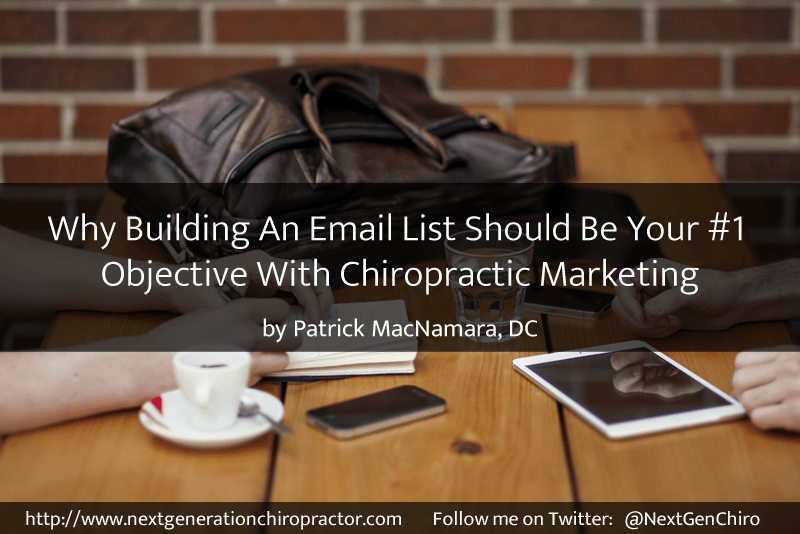 One area that shouldn’t be ignored is chiropractic Internet marketing. It’s extremely relevant to today’s age, provides one of the quickest ways to connect with communities and, when done correctly, helps build authority for chiropractors in the wellness healthcare market. But as I scan the Internet landscape, I see where most chiropractors are missing the boat when it comes to Internet marketing. Yes, they have Facebook pages, Twitter accounts and, hopefully, chiropractic websites. But it doesn’t matter how many tools they have in their bag if those tools don’t help chiropractors accomplish the main purpose of Internet marketing. Learn how to attract quality new patients using the Internet! Become a member for free! Click HERE. The technology behind it may be difficult to learn or master but the premise or purpose isn’t. The main purpose of chiropractic Internet marketing is to convert leads into new chiropractic patients. But accomplishing this purpose seems to paralyze Doctors of Chiropractic causing them to overlook its simplicity. So let me repeat its purpose so that it’s crystal clear in your mind as you begin to develop your chiropractic marketing strategies. The purpose of chiropractic Internet marketing is to convert leads (aka website visitors, Facebook fans, Twitter followers, etc…) into new chiropractic patients. Now that we’ve established its purpose, let’s take things a bit further. Need a hands-free approach to lead-generation and email marketing? Click HERE. Social media accounts are tools to be used, your chiropractic website is an asset you own and grow. Let’s look at how you can fulfill the purpose of Internet marketing using email optin forms and autoresponders. But since not every chiropractor is wired like I am, allow me to define some terms. A lead is a person who has indicated interest in your chiropractic services. Lead-generation is a way of warming up prospective patients to your practice and getting them on a path to becoming a new patient. An email optin form is a simple form or field that allows website visitors to exchange their email addresses for some type of offer like an ebook or new patient discount coupon. 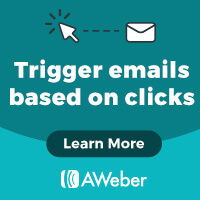 An email autoresponder is behind-the-scenes technology provided by an email service provider like AWeber that allows you to send a series of emails to your new leads automatically and on a preset schedule. Lead-generation doesn’t occur until after the initial phase called attraction has been accomplished. Attracting leads should be an ongoing process. It’s done through consistent content marketing — publishing chiropractic blog articles, chiropractic patient testimonial videos, chiropractic social media updates, et cetera, to your local community or market. However, some chiropractors may also want to throw pay-per-click and Facebook ads into the mix if their marketing budget allows. Prospects attracted to your website then go from strangers to website visitors. Once they become visitors, lead-generation begins. But in order to succeed in lead-generation, you have to have certain things in place. This isn’t rocket science but effective chiropractic websites use four specific components in order for lead-generation to be successful. Offer: An offer is the content or something of value that’s being ‘offered’ on the landing page. The offer must have enough value to a visitor to merit providing their personal information in exchange for access to it. Call-to-Action: A call-to-action (CTA) is an image, button, or message that calls website visitors to take some sort of action. When it comes to lead generation, this action is (you guessed it!) to fill out the form on the landing page and redeem the offer. Once you have all of these elements in place, you can then use your various social channels to drive traffic back to the landing page so you can start generating leads. A great example of how I do this is demonstrated through my Home page. Since social media accounts are tools to be used, I use them to drive traffic back to my website’s Home page (an asset that I own and grow). My Home page is designed as a landing page. It’s laser-focused on doing one thing — capturing information from website visitors. My offer and call-to-action are clearly stated through the text and button I created above the fold — positioned in the upper half of my web page so that it’s visible without scrolling down the page. When a website visitor clicks on the ‘Become a Member’ button, they’re taken to a form that captures more information about that visitor. Once the form is filled out, it then dumps them directly into my email list and autoresponder series once they click both the ‘Create My Account’ button and subsequent confirmation link that’s designed to acknowledge they want to receive my emails. Not a member? Well let’s change that! Become one for FREE! 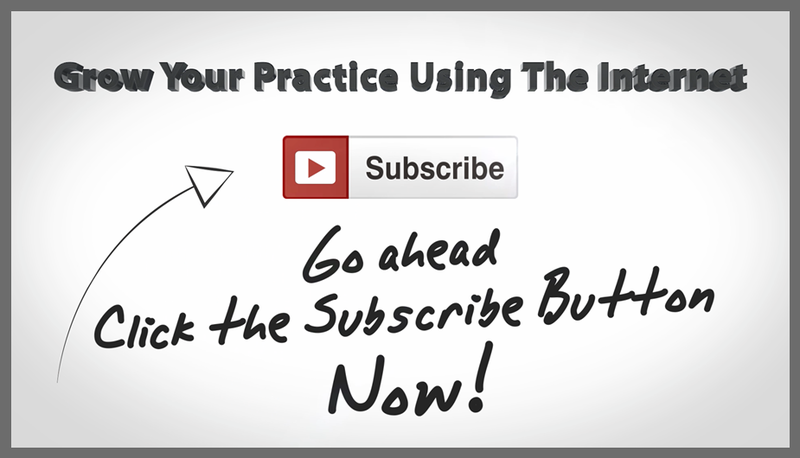 Click HERE and begin learning with other chiropractors from around the world how to attract new patients using the Internet. There really is only one purpose associated with your chiropractic website and social media accounts — to convert leads into new chiropractic patients. If your current chiropractic website or Internet marketing strategy isn’t doing this, give me a shout. I’ve literally helped hundreds of chiropractors just like you convert their ineffective websites into lead-generating, new patient attracting machines.